The difference between the right word and the almost right word is the difference between lighting and lightening. Love it! Hilariously enough, this is the quote we have had on our little company's website (http://www.twintranslations.com) for several years now. I am glad to see other translators are also using this wise quote! Mark Twain was a very smart man. Great blog, BTW. 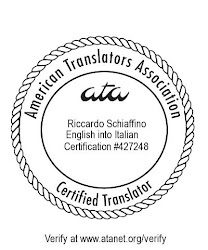 the difference in my field of translation would be contract term and contractual term. I see it all the time.